This week we wrap up our look at what the surviving cast members of LOTSW have been up to since the series ended in 2010. 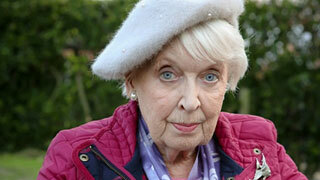 It’s hard to believe that June Whitfield, who played Nelly, will be turning 91 in November! Although maybe it’s not so hard to imagine when you consider she’s been acting for over sixty years. I remember watching Whitfield on "telly" when I was a child in the mid/late 1960s, when she appeared alongside a comedian called Terry Scott. The couple worked together – mostly playing husband and wife – for over two decades. Scott was just one of the many British male comedians Whitfield worked with over the years and she seems to have been the "go to" actress when it came to the BBC's casting of a middle class spouse. In 1992, Whitfield became known to a younger generation when she played Jennifer Saunders’s ditzy mother in Absolutely Fabulous. The series ran from 1992-96 and 2001-2004 and special episodes aired on Christmas Day 2011, New Year’s Eve 2012 and in July 2012 to commemorate the Olympics. This year Whitfield reprises her role in a film version of the show which will open in movie theatres July 1st. Whitfield’s first appearance in LOTSW was in 2001; the same year she lost her husband of 46 years, Tim Aitchison, who had died on Valentine’s Day. 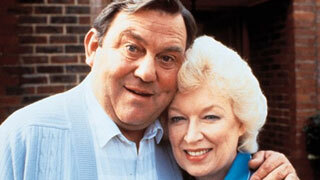 The couple’s only child Suzy, who was born when Whitfield was 34, is also an actress. In the 2001 LOTSW Christmas Special, Whitfield starred as a character called Delphi Potts. Four years later, she returned as Nelly and remained with the series until its penultimate episode. Whitfield and Jane Freeman who played Ivy were the only two regular characters not to appear in the final episode. Unlike many of the surviving LOTSW cast members who seem to have had quite a hard time getting regular work, Whitfield is as busy as ever. She’s appeared in numerous commercials, made a second appearance in Midsomer Murders (her first was in 2005) and has been in two of the U.K.'s longest running soap operas – Coronation Street and EastEnders. 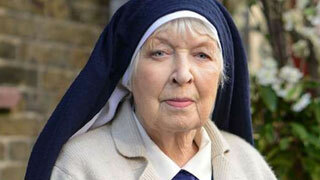 Her role in EastEnders was that of a nun – Sister Ruth – who first appeared in 2015, and returned to the soap this past March. Last year seems to have been a particularly busy one for Whitfield. As well as her work on the Ab Fab film and EastEnders, she also starred in a British-American made comedy drama miniseries You, Me and the Apocalypse, a BBC television film adaptation of Cider With Rosie, and as Miss Marple in a three part radio drama series on BBC Radio 4 called Miss Marple’s Final Cases. Whitfield previously played the sleuth from St. Mary Mead in all twelve Miss Marple novels on BBC radio in the 1990s and in 2011 she played Margaret Rutherford – the original big screen Miss Marple - in the BBC biographical radio play A Monstrous Vitality. Other films Whitfield appeared in following LOTSW’s cancellation are Innocent, which was released in 2011 as a follow up to the thriller Presumed Innocent and the 2012 adaptation of the Ray Cooney farce, Run for Your Wife. The latter revolves around the life of a cab driver and his attempts to keep two homes going in the London suburbs of Streatham and Wimbledon. 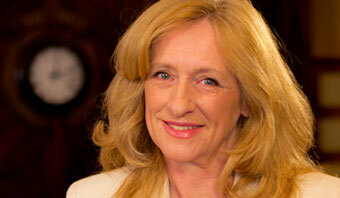 Whitfield is no stranger to both these places as she was born in the former and lives in the latter. Whitfield was most recently seen on U.K. television screens as a wheelchair-bound mother of a sixty-something daughter who refuses to grow up in the second series of the comedy series Boomers. 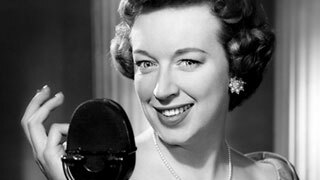 This year Whitfield was honored with a lifetime achievement award at the BBC Audio Drama Awards, which is a nice compliment to the Lifetime Achievement award for British Comedy she won in 1994. 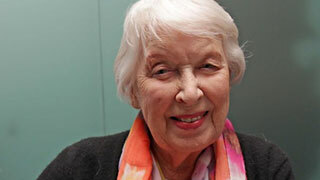 In 1985 Whitfield was awarded the OBE (Officer of the Order of the British Empire) in the 1985 Queen's Birthday Honours List for her services to drama. She was promoted to CBE (Commander of the Order of the British Empire) in 1998.